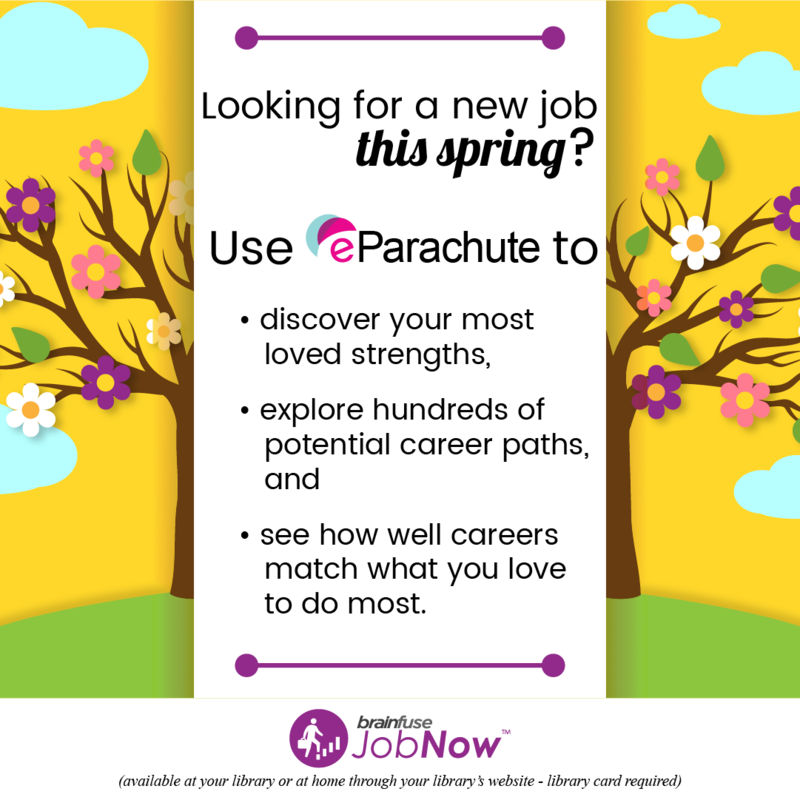 JobNow Publicity - Get your spring graphic! CLC offers the lowest price in the nation on JobNow - don't miss out! JobNow is available to CLC member public and academic libraries. The subscription period is September 1 - August 31. Contact us any time for a pro-rated quote or to learn more about JobNow. Quotes - For a quote, contact CLC at 860-344-8777 or members@ctlibrarians.org with your population served (public libraries) or student FTE (academic libraries). Nearly 100 public and academic member libraries in Connecticut subscribe to JobNow to help jobseekers build resumes, ace interviews, prepare for tests, and enhance basic skills. Read JobNow testimonials from actual Connecticut library users! Powered by Brainfuse, JobNow provides live, interactive online help combined with online resources to help your patrons and students get a job. A "resume lab" and live, online job coaches help jobseekers strategically target suitable jobs and prepare and practice for job interviews. The Adult Learning Center provides foundational, career-enhancing skills to adult learners through test preparation (including the GED and the U.S. Citizenship Test) and features live, online academic tutors for writing assistance, computer literacy, and basic software assistance. So many features - one low price! SkillSurfer - Also known as the Learning Library, this module contains thousands of resources for test prep and boosting skills. Steer library users toward SkillSurfer - no more worries about test prep books getting out-of-date or never returned. OptimalResume - Introduced last year, this feature-packed tool helps jobseekers easily write high impact resumes by working from a variety of interactive templates based on level of experience and academic areas. Includes writing and formatting assistance, spell checking and tutorial guidance. Once jobseekers have created their resume, they can submit it to a JobNow online coach for more expert review and feedback! For a quote, contact CLC at members@ctlibrarians.org or 860.344.8777. Our pricing is too low to publish. WHO CAN PARTICIPATE IN JOBNOW? JobNow is available to public and academic libraries that are members of CLC. HOW CAN I SIGN UP FOR JOBNOW? If you represent a CLC member public or academic library, contact CLC at members@ctlibrarians.org or 860.344.8777 for subscription information. WHEN I CLICK ON MY LINK TO JOBNOW IT DOESN'T ASK ME FOR A LIBRARY CARD BARCODE NUMBER. ANYTHING I'M DOING WRONG? Not at all! When you registered for JobNow you supplied your library's IP address which allows all patrons who have access to your computers to use JobNow without entering their library card barcode number. When your special link (main.LIBRARYNAME.clc.jobnow.brainfuse.com) is accessed from a computer outside of your library you should see a login page where your library's barcode number is required for access to JobNow. WHAT ARE THE HOURS FOR THE JOBNOW LIVE INTERVIEW COACHES? You can chat with a live interview coach 7 days a week from 2:00 - 11:00 PM EST. WHERE ARE THE JOBNOW INTERVIEW COACHES AND RESUME PROFESSIONALS LOCATED? Brainfuse has contracted with thousands of trained resume and interview specialists located all over North America. They have also assured us that background checks are conducted on everyone involved with JobNow. IS JOBNOW OFFERED IN SPANISH? Yes! Even though you don't see any Spanish language on the JobNow site, there are resume and interview specialists who can correspond in Spanish. If your patron submits a resume in Spanish or requests commentary in Spanish, the JobNow staff will reply accordingly. At this time support is only offered in Spanish and English. WHAT IF A PATRON LOSES THEIR LOGIN/PASSWORD TO THEIR ACCOUNT ON JOBNOW? Please call 866.BRAINFUSE (866.272.4638), Monday through Friday, 8AM - 9PM EST for assistance. Contact CLC - members@ctlibrarians.org or 860.344.8777. CLC receives statistics from JobNow and posts them as soon as they are available. Look for statistics around the 10th of the month. Is your subscription being under-utilized? Contact CLC at members@ctlibrarians.org or 860.344.8777 for suggestions and resources for boosting your usage rate. Considering JobNow for your library? Have questions about the service? Please contact CLC at members@ctlibrarians.org or 860.344.8777.